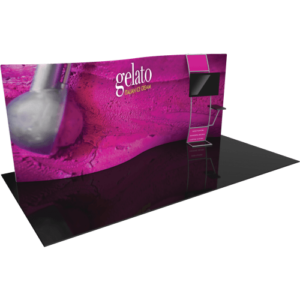 The Formulate® 20 WSC4 Serpentine Curve 20ft Fabric Display showcases a flowing shape with elegance. 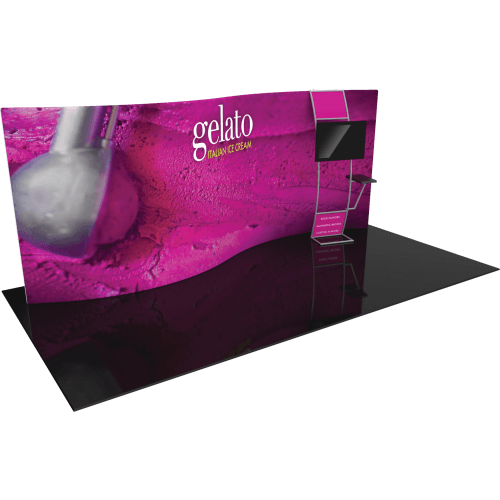 This dynamic exhibit features a serpentine shaped fabric backwall, an accent ladder that supports a small arm table and medium monitor mount, enabling the exhibitor to present media with style. Stretch fabric graphics are hand-sewn, durable and dry-cleanable.